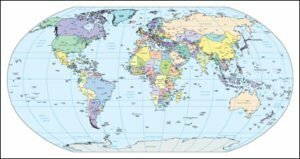 Completely editable Adobe Illustrator and PDF maps of the World. Includes continents text, global references, country objects, city and capital names, country names, continent names. Each on it’s own layer for easy editing. 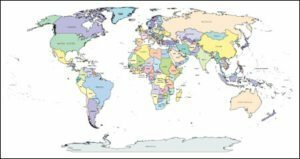 The Single Color World Map with Global Reference lines is provided for use in Adobe Illustrator (.ai & .pdf file formats) it is a layered, vector file format which is fully editable. This means you can add your own elements to the World map, edit borders, separate countries, change colors, show or hide layers and more. 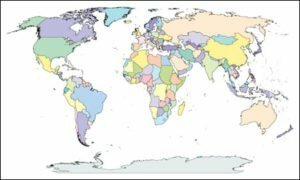 You can also enlarge this map of the world with global references without losing quality. Great for creating your own customized wall posters! 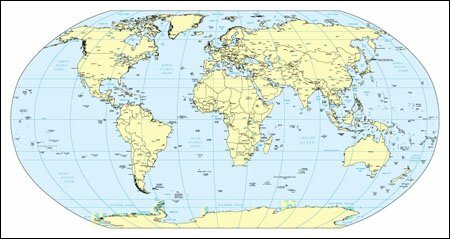 Additionally, the different layers allow you to quickly and easily customize this World Map to suit your specific needs. custom wall posters, reports, white papers and more!